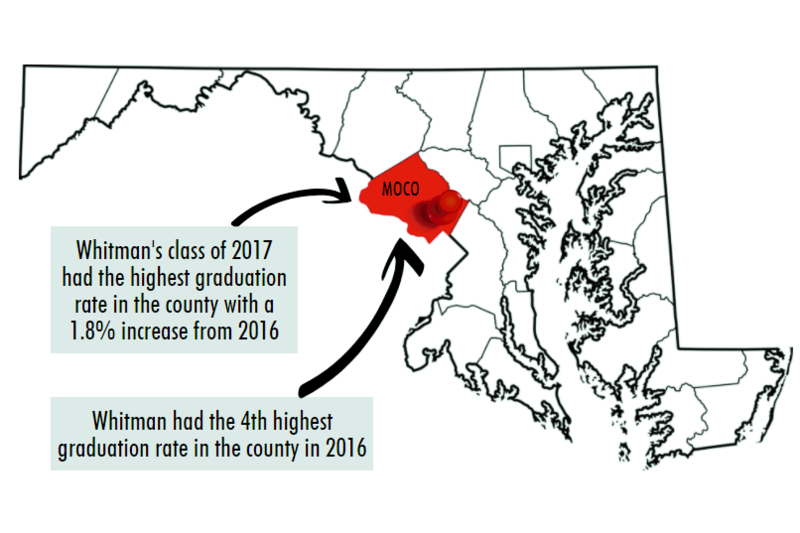 Whitman’s graduation rate for the Class of 2017 was the highest in the county, with 97.9 percent of students graduating on time, a release by the Maryland Department of Education reported. The graduation rate marks a 1.8 percent increase from 2016, when Whitman finished fourth in the county. The report also detailed a countywide increase in the African American graduation rate by .5 percent to 88.2 percent and the county’s surpassing of the average state graduation rate by two percent, reaching 89.52 percent. 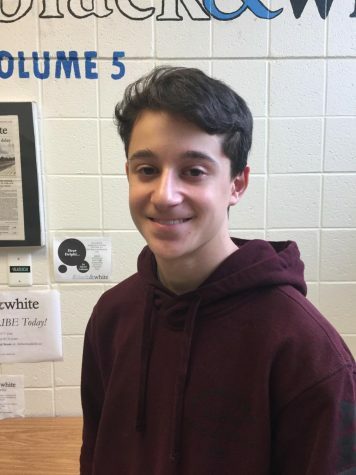 “We’re proud of the progress we’ve made in closing gaps and maintaining one of the highest graduation rates in the state,” superintendent Jack Smith said in a press release. Principal Alan Goodwin credits the high graduation rate to the hard work of staff and students. Senior Ayzhan Murphy also believes Whitman’s wide range of resources and students’ dedication have contributed to the high graduation rate, she said.